For over 30 years, Nova Analytical Systems has designed and manufactured dependable gas equipment with an integrated approach to configure their products to suit each application. As a Unit Company of Tenova Goodfellow Inc., Nova gains international presence as a key player for quality and dependable gas analysis solutions for a wide variety of industrial intensive industries such as landfill & biogas, syngas production, power generation, steel-making processes and heat treatment furnaces. Gas analyzers for process applications that are low-intensity and non-industrial in nature are designed with simplicity in mind. Process applications can include: blanket gas mixtures and glove boxes (low oxygen in inert gas), electrolysis (H2 & O2), clean gas production & purity, and controlled atmospheres (CO2/O2). NOVA offers a fully integrated, simple solution in one cabinet with the ability to measure a variety of gas combinations inclusive of O2, CO, CO2, CH4, H2, SO2, H2O, PPM CO, NO, NO2. Off-gas analysis for blast furnace applications can be addressed at several points within the process. Specifically, the gas that escapes from the top of a blast furnace can be quite challenging to measure due to high temperature and particulate content. Nova's 870 Series analyzer provides continuous monitoring of atmospheres associated with steel-making and metal-working or other industrial processes . Analysis of any combination of methane (CH4), carbon dioxide (CO2), carbon monoxide (CO), hydrogen (H2) and oxygen (O 2) is achievable, offering a viable and more economical alternative to mass spectrometer analysis for these gases. Designed with the flexibility and robustness required in the indistrial environments that characterize the steel & metal industries, the 870 Series analyzer utilizes high-stability infrared detectors for the simultaneous measurement of CO, CO2, and CH4.In addition, the analyzer can also be supplied with a non-consumable, long-life thermal conductivity cell for H2 that is compensated for the interference effects of CO, CO2, and CH4. The Non-Contact Gas Temperature Sensor (OTM) is a continuous, real-time optical measurement tool that measures gas temperature in clean or dust-bearing hot industrial processes. This passive sensor can be mounted up to 30m away from the target and has no consumable parts, requiring minimal maintenance. The Non-Contact High Temperature Gas Velocity Sensor (OVM) provides continuous, real-time measurement of high temperature gas velocities in gases hotter than 600°C where other sensors do not survive. Our novel optical sensors are passive with no consumable parts and requiring minimal maintenance. Potential industries for both include steel making, cement making, metallurgical smelting, petroleum refining, chemical production and power generation (H2 analysis). Tenova's extensive experience with fume system design supports the iron and steel industry with cutting edge consulting & engineering solutions for the modern EAF melt shop. Tenova designed cutting-edge analyzing technologies e.g. EFSOP, hot fume measurement, NOVA gas analyzers and the NextGen package and represents with this the benchmark in process control and analyzing technologies. EFSOP® Technology is a real-time off-gas based process control system for the EAF, proven to achieve energy optimization and cost savings. 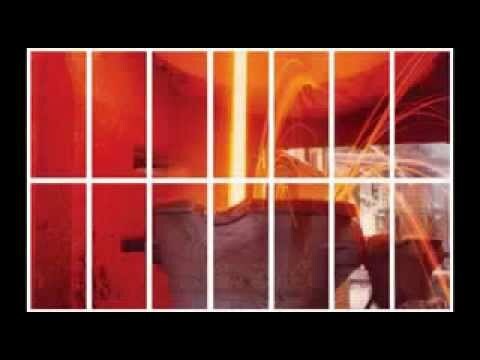 Tenova's extensive experience with fume system design supports the Iron and Steel Industry with cutting edge consulting & engineering solutions for the modern EAF melt shop.